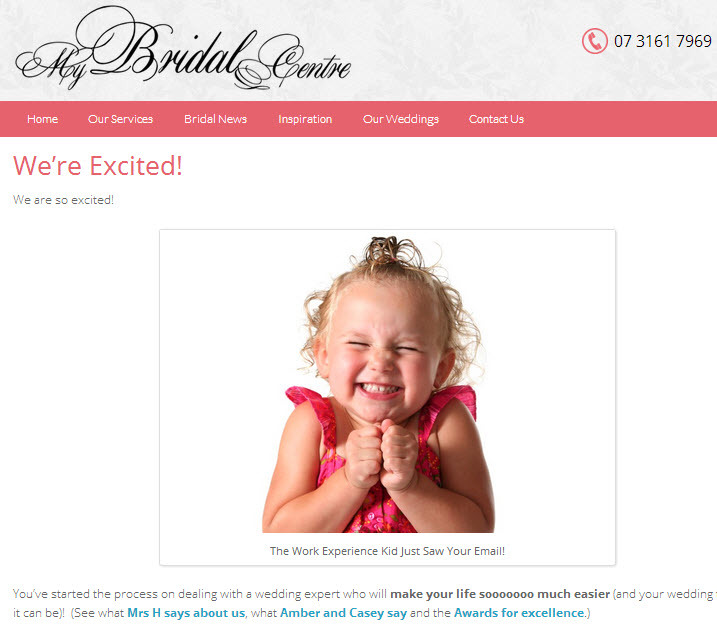 Here’s a cute thank you for your email page on a wedding planning Brisbane site. It’s critical to differentiate yourself with your marketing and simple things, like a cute “Thank You” page, can do just that. Check out your site and see what fun, quirky or different things you can do to help make your site stand out. Because it can make a huge difference to your business.